We are a family business specialising in the manufacture, supply and installation of the finest quality architectural stone mouldings. All of our stone products are hand made in our workshop by skilled Craftsmen. Our team have worked hard over the years to reach the fine quality, every time, that we and our customers strive for. 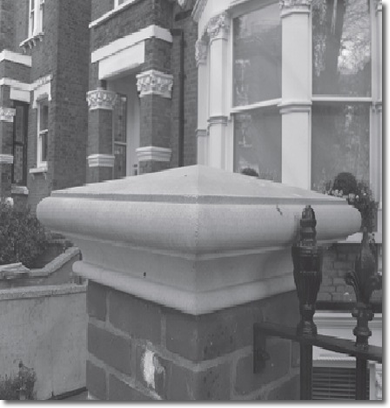 We render to ashlar marking window architraves, cornices, pier caps, columns and even more. We take real care and attention, in order to combine traditional methods of stone moulding manufacture with the latest technology. This way, we can offer reconstituted mouldings and stone work that give our customers the finish desired. We provide our clients with all aspects of exterior mouldings and restoration and are able to offer completely and finely restored pieces in sand, cement or reconstituted stone. We'll always work hard to help you plan and design pieces for your project. We will visit you on site when necessary, and hand make products in our workshop before installing on site. Our team invites our customers to contact us directly. You can do this by phone, email or by using our contact page on the website.